Cheap Yankee candles come in many different scents. It's easy to find cheap Yankee Candles online and in store, if you know where to look! Sales, buy one get one free offers, free shipping, and coupon codes are just a few of the ways you can get these highly scented candles at a reduced price. The first place many of us look to purchase Yankee Candles online is the company's website. Not only do they offer all of the current products, but they often have sales and discount offers. To find the best prices from the Yankee Candle website, click on the link titled "What's on Sale." The resulting page lists all of the current promotions, including scents and candle formats. You'll also find deals on everything from reed diffusers to room sprays and candle accessories. Always check the restrictions and expiry date on the coupon before attempting to use it. Sometimes they will only apply to certain merchandise, and usually they cannot be applied to sale items. To get these coupons delivered directly to your inbox, register at the Yankee Candles website and make sure you check off the box that offers their company newsletter. These newsletters will alert you to upcoming sales, and often include coupon codes. Candles to My Door - Offers flat-rate shipping for $7.95 on all orders. Bed Bath and Beyond - This popular store often has sales on Yankee Candles, and you can maximize your savings by looking for Bed Bath and Beyond coupon codes at the sites listed above as well. 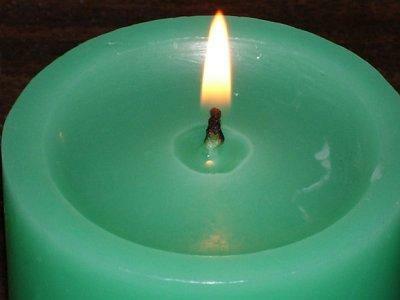 One thing to keep an eye on with candle purchases online is the shipping cost. Since candles, by nature, are heavy items, watch the shipping charge on your items and make sure it's reasonable before confirming your order. The best place to find specials and unbelievable deals is the Yankee Candles Outlet Store. You can also find lots of retailers that sell Yankee Candles, including card shops and department stores. Check your favorite big-box store to see if they have the products you're looking for, and watch for sales. Target, Wal-Mart, and Kohl's are all great places to look. Another great way to maximize savings on candle purchases is to sign up for in-store points programs and promotions where they are available. Combining points and sales will get you a terrific deal on your Yankee Candles. After major holidays - Yankee Candles issues holiday candles and fragrances, especially at Christmastime. Directly after the holiday season, you'll find these same scent lines on sale so that stores can open up space for the next line. Just before a new season - Like holiday scents, there are fragrances that are released to coincide with the seasons. Look for Spring scents just before summer, for example, to find cheaper prices. When a fragrance or style is being discontinued - Keep an eye on the Yankee Candle website to find out when scents or product lines are being discontinued. When this happens, stores will usually put these items on sale to clear out their inventories. Yankee Candles can be found for really reasonable prices, especially when you're able to combine sales with coupons, free shipping, or other offers. With a little planning and comparison shopping, you'll save lots of money while still having gorgeous scented candles in your home.